I’m sure most of you who are used to my posts or are familiar with my recipes in the slightest, know that I love spices. I don’t just love them in that I use them a lot but, I love using them correctly and getting the most out of them. The perfect seasoning used correctly can make for such a delicious dish that it blows your mind and you’ll be just as obsessed with spices as I am. This 7 Spice Blend is one of those spice mixes that you’ll want to use again and again. It goes great with multiple dishes. 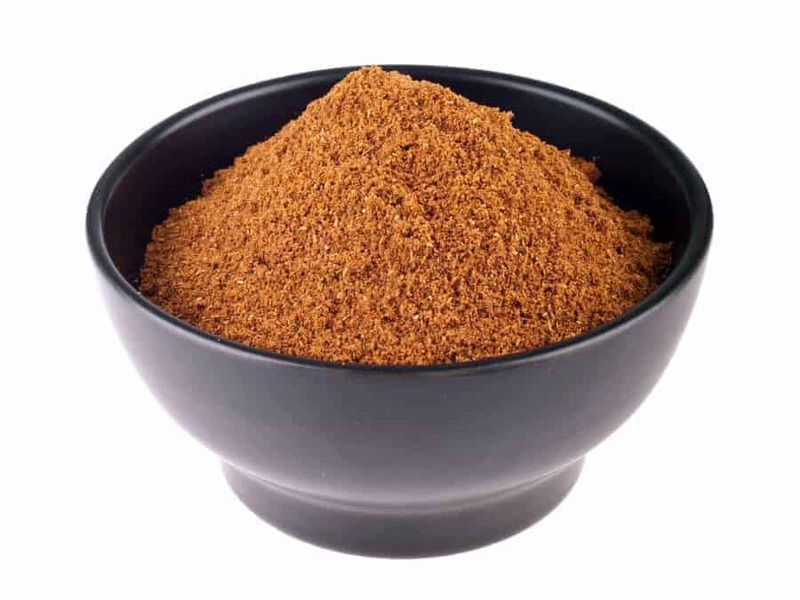 This 7 Spice Blend is also known as a Lebanese 7 Spice mix. It’s a spice mix that’s bursting with flavor. This mix has cinnamon, nutmeg, ginger, fenugreek, allspice, pepper, and cloves. 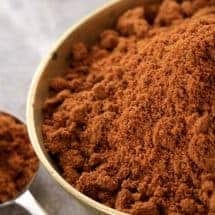 I know a lot of these seasonings are found more commonly in desserts however, with this specific mixture, this spice blend works amazingly in many dishes including meat dishes. Most of the spices used in these 7 Spice Blend are pretty popular. However, not many are familiar with fenugreek, what it tastes like, how it looks, etc. This is a leafy plant that is most commonly found in Asia. Before its ground, fenugreek almost has the appearance of being small chunks of pretzel only maybe a little lighter. When ground, it’s a lightly colored powder. Fenugreek has an almost vanilla-like flavor, being only lightly sweet with a nutty resonance. Although this 7 Spice Blend would definitely go well in recipes such as breads, cakes, etc. it also goes really well with dishes such as Eastern meatloaf or as a meat rub. Honestly, it’s a delicious mixture of spices you would expect to be used only around the holidays. However, these spices are great for many recipes that are used all year round as well. Looking for a delicious dish to use your freshly made 7 Spice Blend in? Check out my Air Fryer Kibbe! 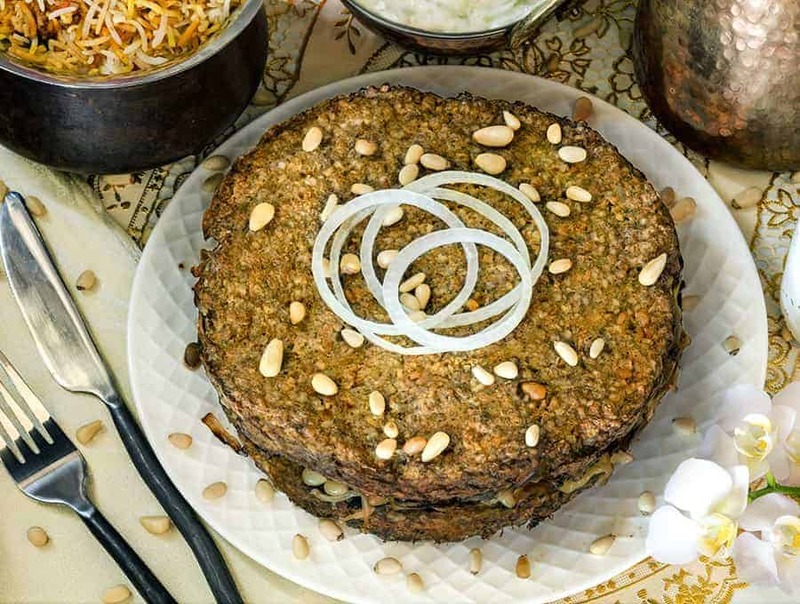 Think of it as a Middle Eastern style meatloaf that’s delicious! Looking for more awesome spice blends to make at home? 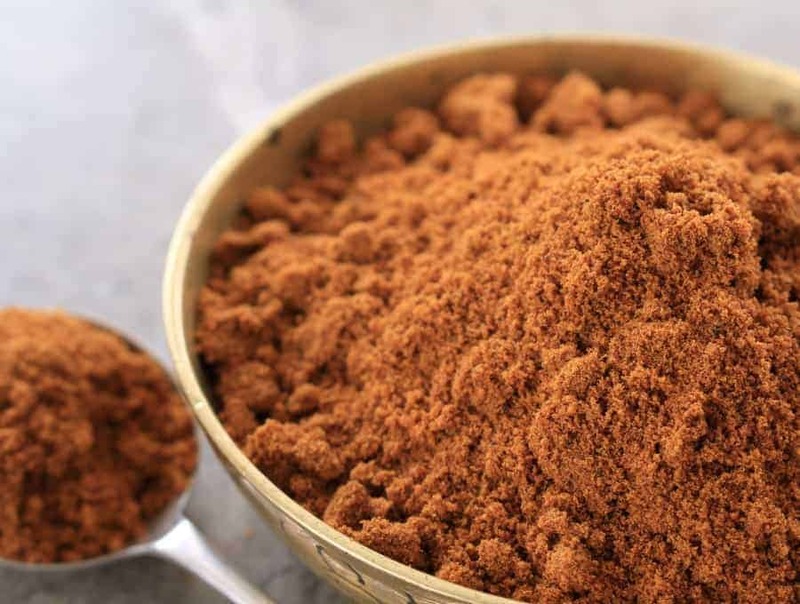 Check out my Homemade Garam Masala Recipe! 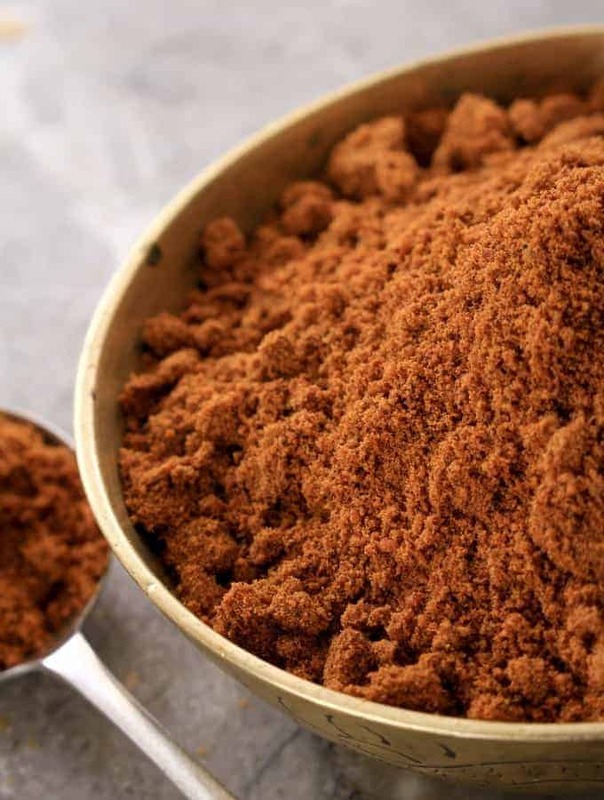 Garam Masala is a staple spice blend that’s used in tons of Indian recipes. I have an endless list of recipes that I use this seasoning for. You may fun across multiple recipes where I call for using it. Although many of these seasoning mixes, like this 7 Spice Blend, can be found already mixed in the store, I still recommend making your own. Not only is there a lack of flavor that’s missing in those store-bought blends, bu you’re never really sure what you’re actually getting in them. If you’re unsure of using spices, here is my video, all about spices! 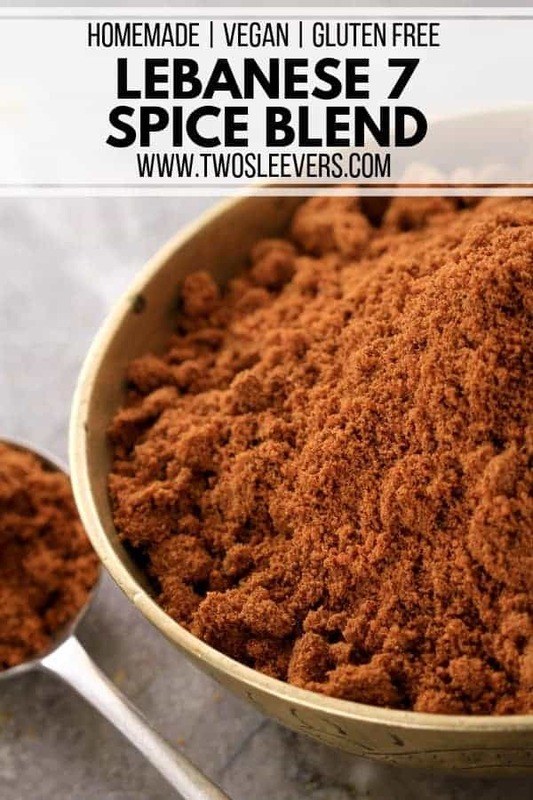 Use this 7 Spice Blend recipe to add some flair to your favorite dishes! It's a simple Lebanese blend of spices that's easy to make at home. Mix together and store for up to 4 weeks.